It’s no secret by now that AI is the next big thing and every major company is focusing its attention towards making sure their platforms are ready for the next wave of AI innovation. Microsoft is the latest to join the parade, and it’s done so in a big way. 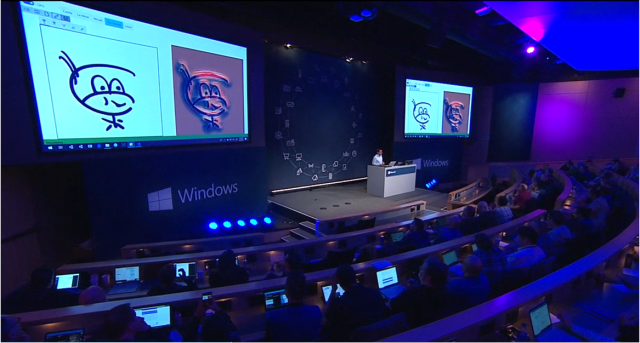 The Redmond giant has unveiled Windows ML, an AI-centric platform that will enable developers to build new apps that leverage Microsoft’s pre-trained machine learning models for Windows. Microsoft says it will save developers time and allow them to quickly and efficiently deploy apps that make use of cutting-edge AI training systems. Windows can perform AI evaluation tasks using the local processing capabilities of the PC, enabling real-time analysis of large local data such as images and video. Microsoft believes that Windows ML will help reduce operational costs for developers, who’ll be able to build affordable, end-to-end AI solutions by combining all their training models in the Azure cloud. The machine learning models have also been designed to be compatible across a variety of devices, be it a laptop, smartphone, VR/ AR headsets or an IoT device. The AI processing and learning will also get a major speed boost as developers would have the freedom to run machine learning tasks locally on the PC rather than cloud services. All you complex calculations will be handled on the Windows 10 device, with help from processor and graphics chip partners like Qualcomm, Intel, AMD, NVIDIA, and others. Currently, Microsoft hasn’t confirmed when Windows ML will be rolled out but it’s likely for the company to release it in the Redstone 5 update, which is expected to be called Spring Creators Update (spotted in the latest test build). However, developers will gain access to the AI platform with the release of Visual Studio Preview 15.7 on Windows 10 devices. While AI in consumer devices has largely been about smartphones so far, Windows 10 becomes the first desktop platform to introduce AI and ML features for developers, and it could end up making Windows apps much smarter, faster and exciting.